Children's feet need room to grow. 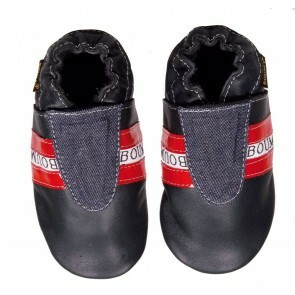 Tiny shoes with hard soles can pinch and obstruct them, especially when they make their first attempts to crawl and walk. 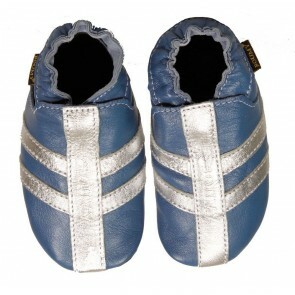 This is not good for the natural grip which the sole of a child's foot needs to acquire. 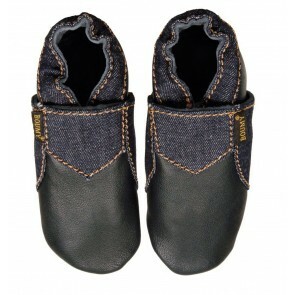 Better during this period are these soft, flexible Boumy baby slippers made entirely of leather, which give children the feeling that they are walking around barefoot. 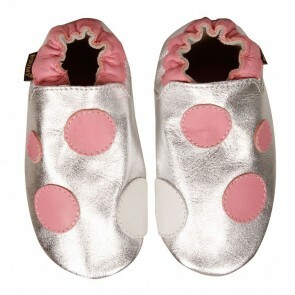 Being a natural material, it breathes and by doing so keeps little feet cool in the summer and nice and warm in winter. 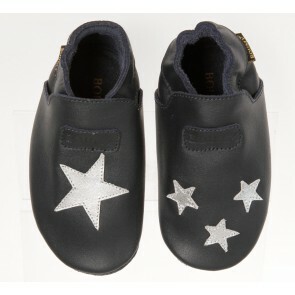 The Dutch label Boumy designs baby slippers that stand out thanks to their superior quality leather, fit and stylish designs. This style has been designed in such a way, that no inconvenient laces are required. 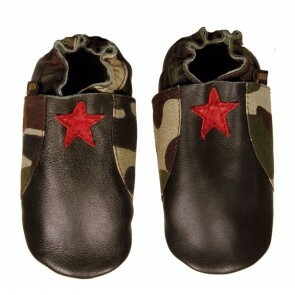 Thanks to its convenient elastic ankle fastening, the slippers can be pulled on quickly and easily. Once they are on, they do not slip off on their own. 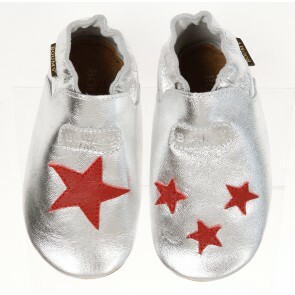 The rough leather finish underneath has an anti-slip effect. Boumys are hand made in Europe.